﻿"Without memory, there is no culture. Without memory, there would be no civilization, no society, no future." 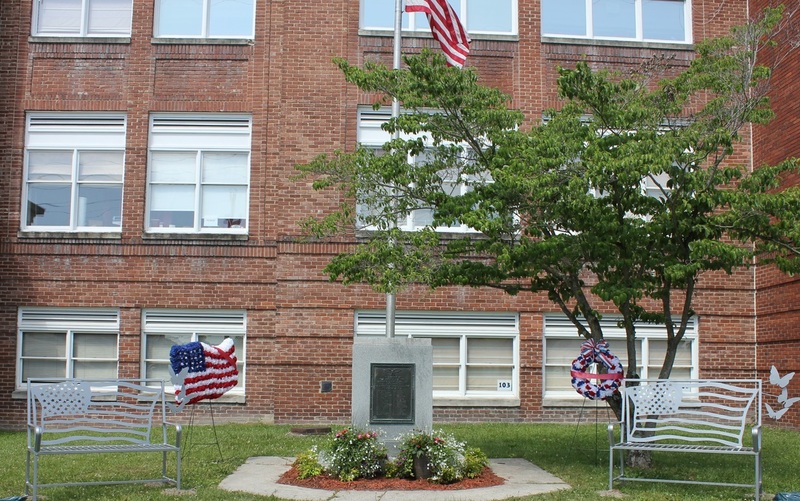 Welcome to our 21st Century link to the monument in our schoolyard and beyond. Background art above by 7th grade CMS student Cody V.
Below is the renewed space in our school yard with new benches and dedication stones for each. For more information see the "about" page above.